Silver Bars, Rounds and Bullion Coins are extremely popular as an investment vehicle today. 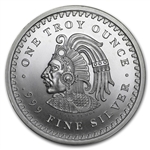 We have a wide variety of silver bullion coins to choose from including some of the most popular brands in the world. Johnson Matthey, one of the most highly regarded silver producers, Golden State Mint with their unique bullion coin designs, Sunshine Mint rounds and bars, Ohio Precious Metals otherwise known as OPM, NTR and a host of other producers. 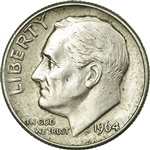 We also carry a wide assortment of "junk silver" which is by far the least expensive way to own silver. The silver bars and rounds we have for sale are available in 1/4 oz, 1/2 oz, 1 oz, 5 oz, 10 oz, 50 oz and 100 oz sizes. These are the most popular silver rounds and bars available in the market today. All of our silver bars and silver bullion coins are brilliant uncirculated in condition and are brand new from the refinery. Most of the bullion coins listed here will ship within a day or two and will be shipped insured via the United States Post Office. Additionally we also carry copper rounds from the Golden State Mint as well as Gold American Eagles, Gold Buffalo coins, Pamp Gold Bars and other gold bullion coins.